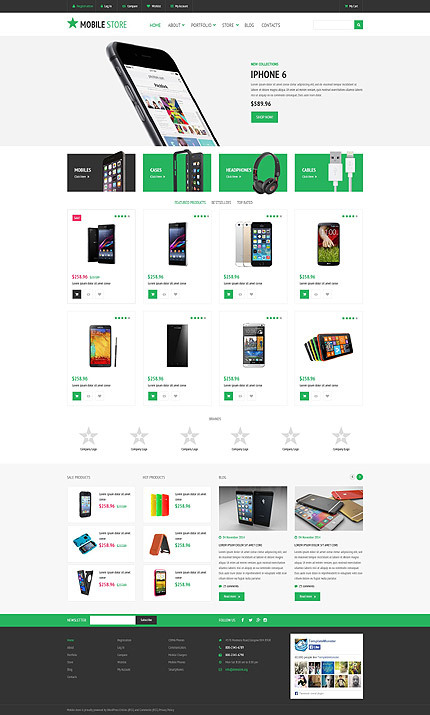 This Mobile Phones WooCommerce Theme looks clear and simple. Green and black perfectly match each other against a fair background. Top slider introduces new or best offerings in an easy-to-perceive manner. Grid-based layout looks well-balanced. At the bottom of the page your customers can get familiar with hot and sale products that are shown in scrollable galleries. Visitors will also be able to enter other pages of your site or follow your social media pages from the footer. The fonts, images, color palette or content structure can be easily altered to suit your business. 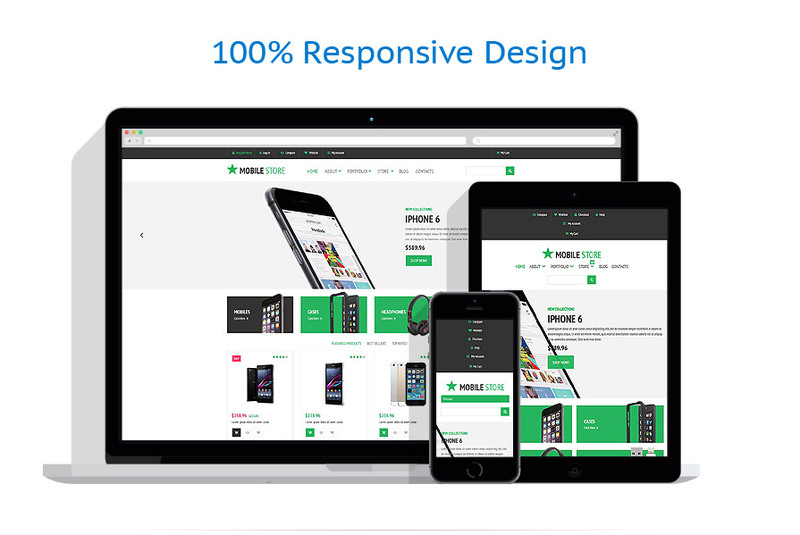 Responsive, SEO-friendly and WPML ready, this e-commerce theme can help you improve your online business. Great to be used for electronics, computers, tools and equipment, software, and stationery stores.